Over the weekend, I headed upstate to Hunter Mountain in the Catskills, NY to escape the city for the weekend. As we settled into the hire car and plugged in our phones, we downloaded Waze to get the fastest route to our destination. Waze is the world’s largest community-based traffic and navigation app, that leverages crowd-sourcing to providing real-time traffic and road info. That’s not all. It is also a fantastic example of how thinking digitally can open up new marketing roads. Staying ahead of the latest marketing technology is not easy. As consumers move away from traditional platforms, we are increasingly pressured to find the next best way to engage with our target markets. Ever sat in a traffic jam and thought ‘there must be a better way’? In 2006, a community project founded and developed by Ehud Shabtai called “FreeMap Israel” worked to provide an answer to that very question. The project aimed to leverage crowd-sourcing to create a community of users, that would work together to provide up-to-date traffic and road information. The success of the project and potential commercial application led to the creation of Waze in 2008, later rebranded to Waze Mobile Ltd in 2009. Waze answered a growing consumer need that traditional GPS navigation software failed to respond to. Similarly to traditional software, Waze learns from its’ users’ driving times to provide real-time traffic updates. What makes it more efficient, is that users can report accidents, traffic jams, speed and police traps, and from the online map editor, can update roads, landmarks, house numbers, etc. providing users intelligence to speed up their journeys. By January 2012, Waze had expanded globally and boasted 12 million downloads worldwide. In just one year, Waze reached 50 million users and became one of the most successful apps of all time, winning Best Overall App award at the 2013 Mobile World Congress. In 2013, the app was purchased by Google for $1.3 billion and from there has continued to grow. This acquisition enabled the app to leverage social data to provide more value to the user. CMOs are having to think innovative. Choosing the smartest tactic to stand out from the competition is not easy. Google’s acquisition of Waze has opened the door for marketers to engage with this pre-built community. 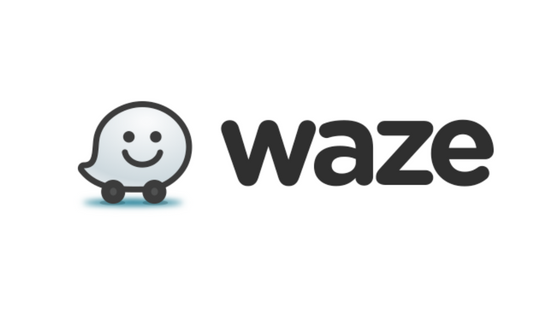 There are several ways to leverage the Waze platform. Branded Pin – Using location-based data, brands can now choose to place their digital billboard informing Waze users that their business is on or nearby. By tapping the pin, users open up the creative and are provided with more information about the business, including how far away it is. They can then opt to reroute their journey. One more tap and Waze provides directions. Zero-Speed Takeover – This option is designed for brands to get their creative in front of Waze users when their attention is at the highest. Nearby Arrow – Great for local businesses looking to attract more walk-in traffic. Again tapping the arrow displays your creative. Another tap and the user is one their way! Promoted Search – Get your brand image to the top of a search. We all love being top of a Google search. Essentially Waze has disrupted the traditional ideas of signposts and billboards into something new, that is user-friendly, targeted, mobile-friendly, and track-able. By leveraging their existing expertise, Google has created another ad platform. Waze’s power as a marketing tool is driven by its targeting and reporting capabilities. Marketers are given the power to target their consumer by who’s driving, operating system, place type, weather, traffic type, route length, time of day and more. Marketers are also provided a wealth of powerful data. From average ‘distance driven from ads’ to ‘driver loyalty’ statistics, this platform is providing unique consumer insight. In this digital world, staying on top of the latest technology and choosing smart marketing avenues is front of mind for all CMOs. Whether you’re looking to build brand awareness or drive traffic to your store, Waze is a platform you should consider.